–Vin T. Sparano, Senior Field Editor, Outdoor Life. Here is a complete, detailed guide to fishing New Jersey’s fresh waters, from rivers as large as the Delaware, as interesting as the Mustconetcong, or as intimate as Bergen County’s Bear Swamp Brook, to lakes such as Lake Hopatcong and many dozens of others, including easy-access suburban locations. 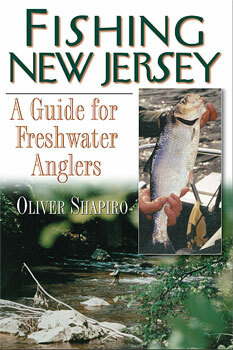 Fishing New Jersey covers not only where to fish and how to get there, but tackle and techniques that best put fish on the line. Even seasoned anglers will find new opportunities in this comprehensive guide. Oliver Shapiro is editor of the New Jersey Federated Sportsmen’s News and has written for New Jersey Angler, Field & Stream, Outdoor Life, and dozens of local and regional publications.